David is a very experienced coach having over 30 years in the game. Although an experienced coach, he does everything he can to keep up to date with modern day methods and coaching strategies. He has been involved in county coaching plus team coaching within the club itself. David heads up the junior coaching academy at the club as he sees them as an integral part in future development of the club. Being head professional at the club for 30+ years David has seen generations of teaching methods and techniques brought to us but is a keen believer of keeping things simple working on catering for each individual. Delivering professional but simplistic sessions Has given David consistent business over the years and will continue to do so. James has a real passion for coaching providing a professional service of the highest quality. 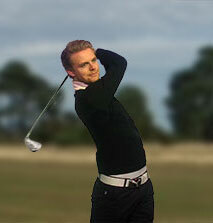 He is a Class AA Professional graduating from the foundation degree course as a fully qualified PGA pro in 2011. James has developed an established and growing reputation as a coach. He continues with his Continued Professional Development (CPD) to keep up to date with modern day teaching methods and techniques putting his own mark on it. James finds the simplistic approach to coaching works the best, information overload is the worst thing you can do to a pupil during a session, the sense of 'less is more' is ever present when James delivers his sessions. 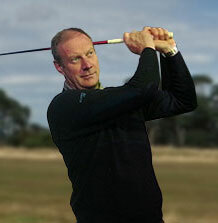 James coaches golfers with varying ability and experience, from the +2 handicap to the total beginner. He has a real desire to be the best he can be in the coaching game always willing to listen and learn from his peers, striving to develop in any which way possible.